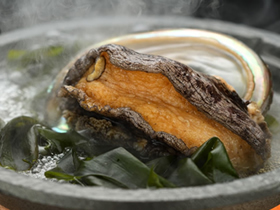 Experience the taste of Iwate and the taste of Taro with fish raised in Sanriku and seafood caught in the local Taro Town. Additionally, organic vegetables cultivated at local contracted farms are shipped to us directly. 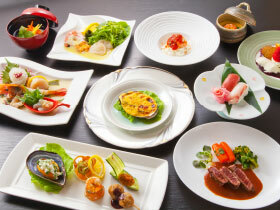 We also use many other healthy and delicious Iwate ingredients in our original cuisine. All meals are prepared in a private room and you can enjoy it calmly. Enjoy time away at a secluded inn where you can dine on a plethora of delicious local ingredients. All 13 rooms include a private outdoor bath. Enjoy our three buildings, the main hall, the observatory annex, and the separated annex, each with their own distinct characteristics. Since all rooms include an outdoor bath, you can enjoy the refreshing sea breeze and ever changing view of the coastline as you melt away your daily stress in the warm water. 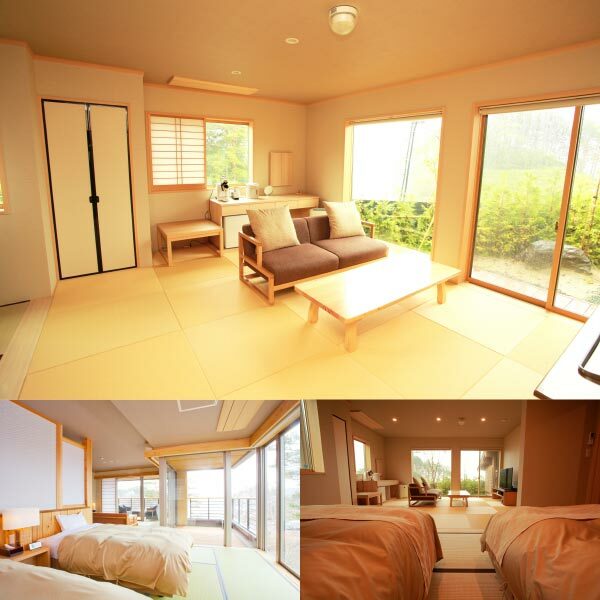 A small Japanese inn located in Taro Town, Iwate - built on a hill that overlooks the Pacific Ocean. In the spring of 2015, "Taro Kanko hotel" rebuilt as "Nagisatei Taro-an" on the safe hill of Miyako City Taro. 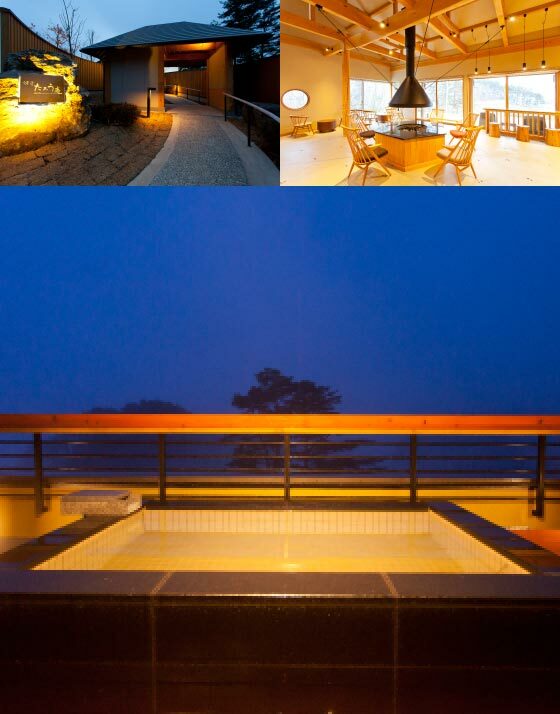 Overlooking the only Coastline National Park of the Tohoku Region, Tarou-An offers a fabulous view of the sheer cliffside from all 13 rooms. 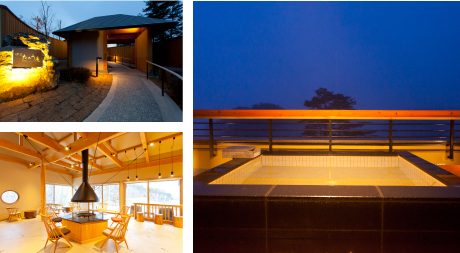 While savoring the delicious original cuisine with local seafood of Sanriku and locally grown organic vegetables, you can experience the different characteristics of our main hall, observatory annex, and separated annex each with rooms that include their own private outdoor bath. 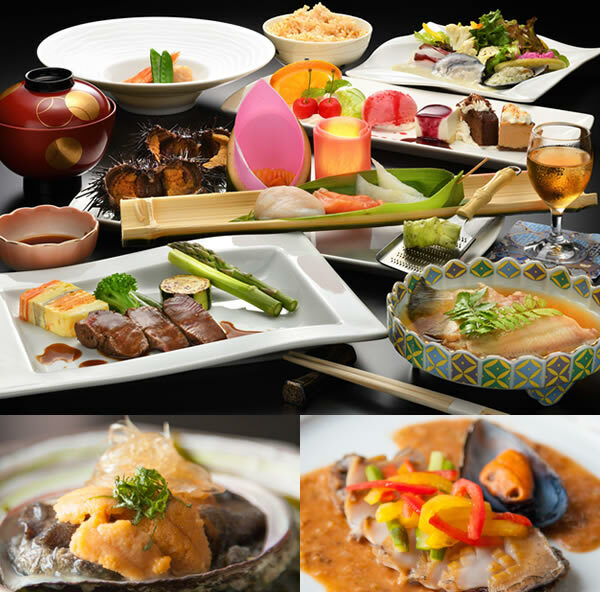 Enjoy luxurious dishes made with high quality Iwate Prefecture, Sanriku regional ingredients such as abalone, sea urchin and Japanese beef. A basic plan where you can enjoy the personal outdoor bath included with your room and the reservation-only bath located on the top floor of the building. No meals are included. Copyright © 2015 Nagisatei Taro-An All Rights Reserved.